Palace Place, 1 Palace Pier Court, is one of the most prestigious and luxurious waterfront condominium residences in Canada. Palace Place soars into Toronto's skyline with 47-storeys that have been enclosed in a spectacular glass façade. Palace Place features every conceivable amenity, including valet parking, a security system, with a 24-hour concierge, guards, and video surveillance, signature services, guest suites, shuttle bus service, and a world-class health club, with a squash court, a racquetball court, a sauna room, an indoor pool, a recreation room, and a rooftop lounge. It is conveniently located, with easy access to major arteries, particularly Lakeshore Boulevard, the Gardiner Expressway, and the Queen Elizabeth Way. It is approximately a 5-minute drive to downtown Toronto and 15-minutes to the airport. ALL PHOTOS ARE © LUKE DALINDA. 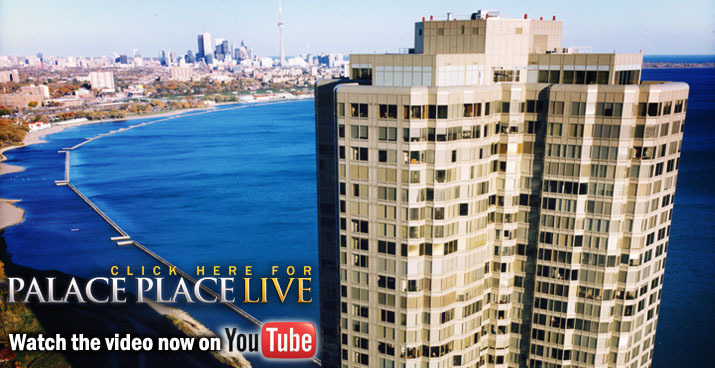 As Canada's first high-end luxury condominium, Palace Pier had set a standard of excellence for condominium living. Palace Pier is a striking landmark on the shores of Lake Ontario. Offering a full-spectrum of amenities, Palace Pier is as majestic as the views that surround it. Palace Pier is an ultra-luxurious waterfront condominium residence that offers you the carefree lifestyle that you could only imagine. ALL PHOTOS ARE © LUKE DALINDA. 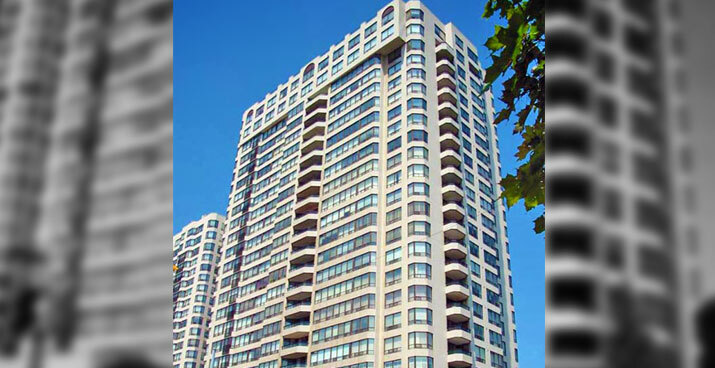 Waterscapes, 80 Marine Parade Drive, is a landmark luxury condominium residence that consists of a 30-storey elliptical tower resting on a 4-storey podium that uniquely showcases the majestic views of Toronto’s waterfront. Waterscapes features every conceivable amenity, including a security system, with a 24-hour concierge and video surveillance, 2 guest suites, an outdoor BBQ area, a lounge, a theatre, a car wash bay, and a fitness facility, with a yoga room, indoor pool, a hot tub, and a sauna. Lago, 56 Annie Craig Drive, is one of Toronto’s finest condominium residences consisting of a 51-storey rectilinear tower resting on a 3-storey podium that captures the magnificence of Lake Ontario, with sprawling forever views from sunrise to sunset. Lago features every conceivable amenity, including a security system, with a 24-hour concierge and video surveillance, 2 guest suites, a car wash, outdoor BBQ area, a sports lounge, a “Silver Screen” theatre, and a renowned “H2O” multi-level fitness facility, with a dynamic fitness room, indoor pool, a hot tub, and a dry sauna. Welcome to The One, Canada's tallest, most luxurious condominium residence located at Yonge and Bloor in the heart of Toronto. 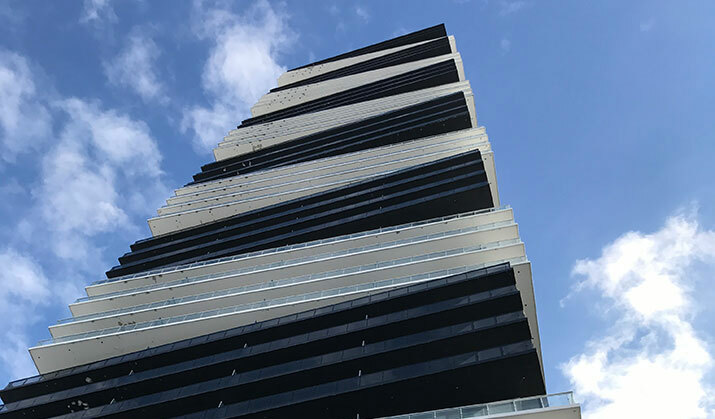 This iconic, new landmark on the city's skyline had been meticulously designed by world-renowned Foster + Partners and developed by Mizrahi Developments. 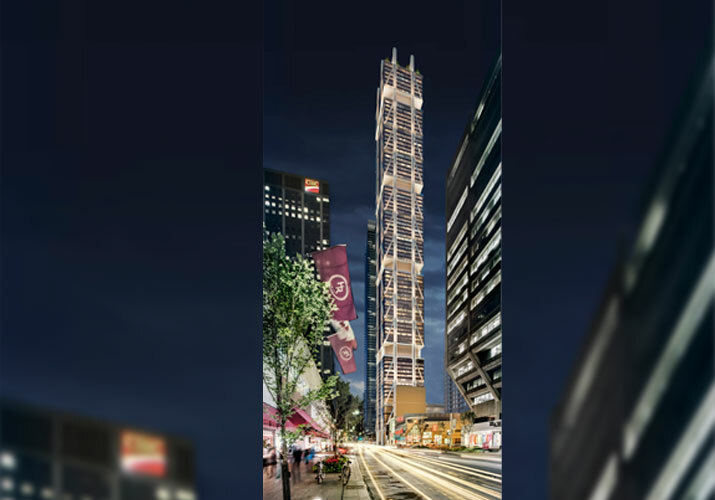 Set to soar 85-storeys high, this 416-suite tower features an innovative, structurally engineered hybrid exoskeleton, a structure that has been built 6-times stronger than a typical high-rise. 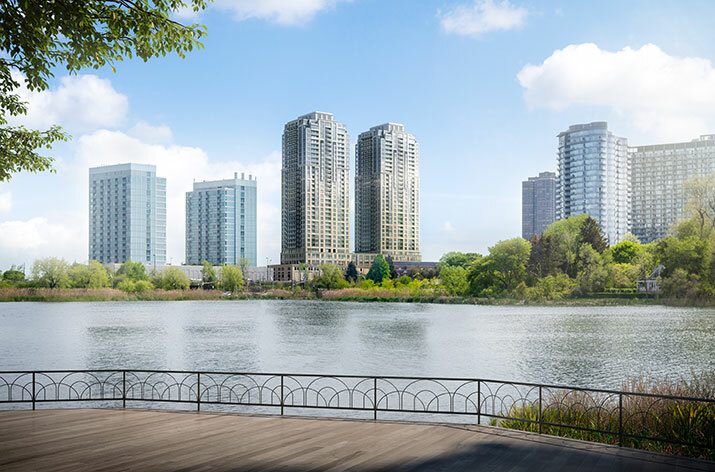 Mirabella is an elegant luxury waterfront condominium residence consisting of two 38-storey towers that are connected by a spectacular podium. Mirabella features every conceivable amenity, including a security system, with concierge service, and over 20,000 square feet of indoor and outdoor amenity space, including 2 guest suites, an indoor pool, a yoga studio, a library, a party room, with a catering kitchen, a dining room, a business center, a children’s play area, a gym, and an outdoor terrace, with BBQs. 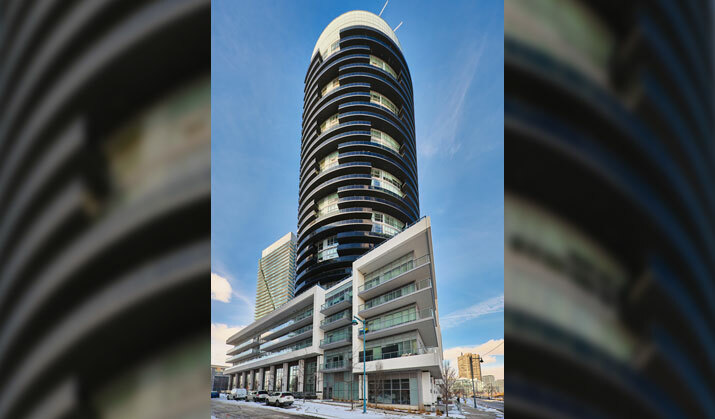 West Tower, 2560 Eglinton Avenue West, is one of Mississauga’s finest condominium residences soaring 25-storeys tall, which had been designed by world-renowned Kirkor Architects and built by Daniels, with magical, sprawling views from sunrise to sunset. West Tower features every conceivable amenity, including a security system, with a 24-hour concierge and video surveillance, an outdoor BBQ area, community gardening plots, a theatre room, a party room, and a fully equipped fitness facility. 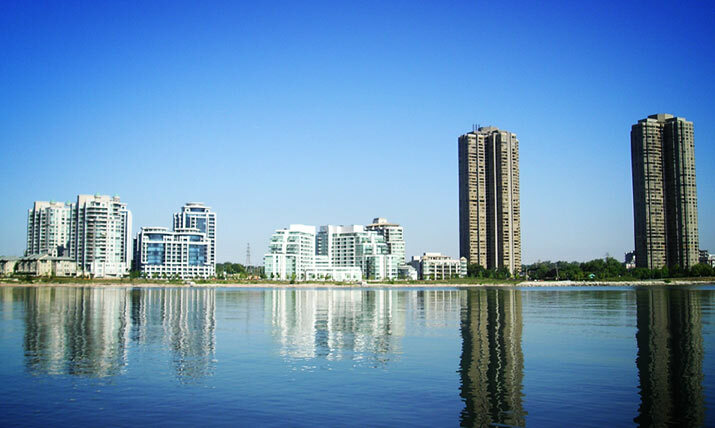 Newport Beach, 2111 Lake Shore Boulevard West, is a striking luxury condominium residence consisting of two 17-storey towers and twenty-three ultra-luxurious waterfront townhouses. Waterford is a first-class, state-of-the-art luxury condominium residence consisting of three buildings. 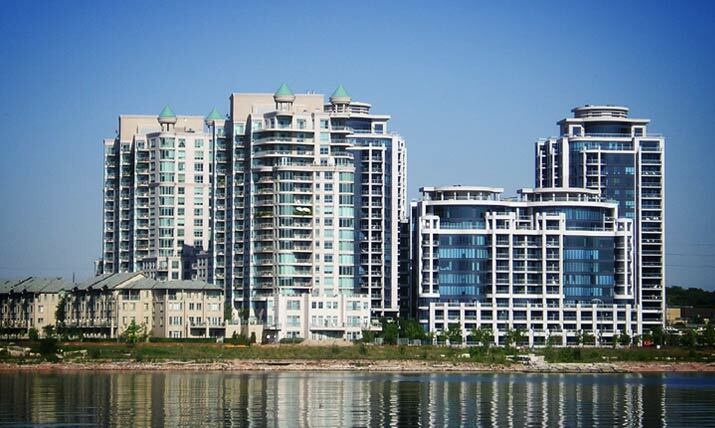 Grenadier Landing, 5 Marine Parade Drive, is a glittering, well-designed, ultra-luxurious waterfront condominium residence consisting of two 12-storey towers and six elegant townhouses. Nevis is a fantastic luxury condominium residence consisting of a 16-storey tower and a luxurious waterfront 5-storey villa building. 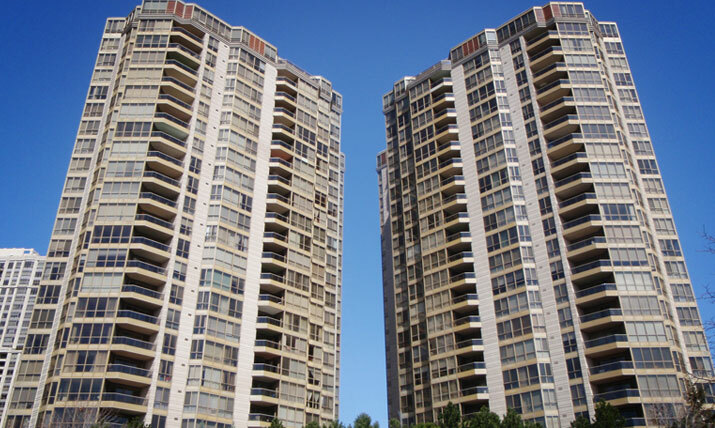 Players Club is a luxurious waterfront condominium residence consisting of a 12-storey tower and eight townhouses. 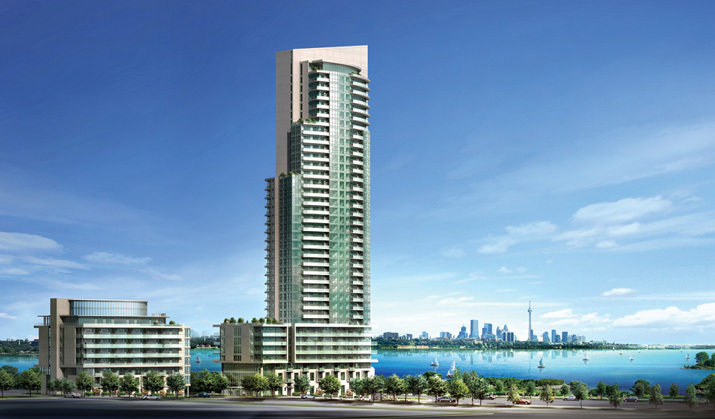 Waterview Explorer, 58 Marine Parade Drive, is a striking luxury waterfront condominium residence consisting of two 14-storey buildings that have been connected by a 4-storey podium. Waterview Explorer features the most popular restaurant in Humber Bay Shores. Waterview Explorer features every conceivable amenity, including a security system, with a 24-hour concierge, guards, and video surveillance, an exciting two-storey lobby offering a gracious reflecting pool, a high tech cyber lounge, with computer stations, and a first-class health club, with an indoor pool, a whirlpool, a spa facility, a recreation room, and a lounge. It is conveniently located, with easy access to major arteries, particularly Lakeshore Boulevard, the Gardiner Expressway, and the Queen Elizabeth Way. It is approximately a 5-minute drive to downtown Toronto and 15-minutes to the airport. Waterview Explorer is just steps to acres of parklands, beaches, trails, and three yacht clubs! 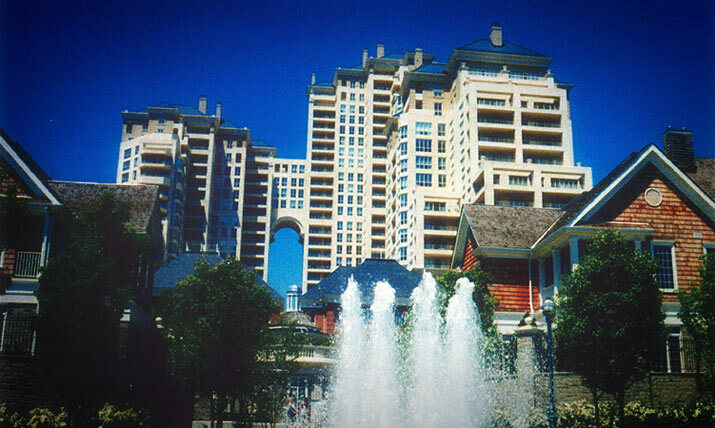 The Mansion, 55 Kingsbridge Garden Circle, is one of the most luxurious condominium residences in Mississauga. The Mansion features every conceivable amenity, including a security system, with a 24-hour concierge and video surveillance, guest suites, a library, a car wash, outdoor barbeques, a billiards room, and a fitness facility, with an indoor pool, a whirlpool, a sauna, tennis courts, a putting green, and a recreation room. It is conveniently located, with easy access to major arteries, particularly Highway 10, the 403, and Eglinton Avenue West. It is approximately a 5-minute drive to Square One and 15-minutes to the airport. Grand Harbour is an architecturally renowned, luxuriously spectacular waterfront condominium residence consisting of two buildings and approximately thirty-nine townhouses. ALL PHOTOS ARE Â© DALINDA TEAM. 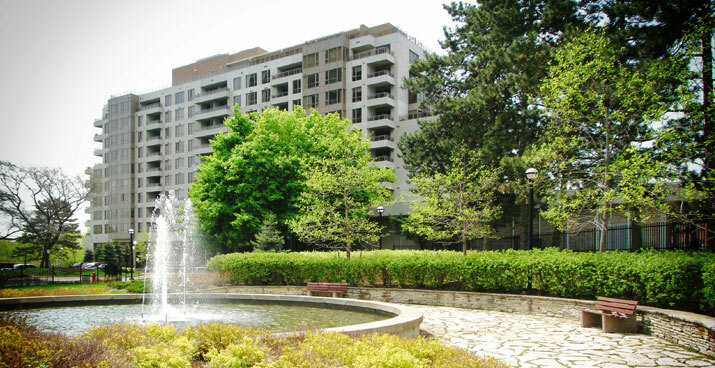 The Old Mill Terraces development, 2662 Bloor Street West, is a luxurious condominium residence that has been built near the Humber River and the historic Old Mill. This residence features numerous amenities, including a security system, with a 24-hour concierge, an indoor pool, a sensational lobby, a party room, and magnificent rooftop gardens! The Old Mill Terraces is conveniently located next to the subway, as well as the Old Mill Restaurant and Spa, and it is walking distance to either Bloor West Village or The Kingsway shops. 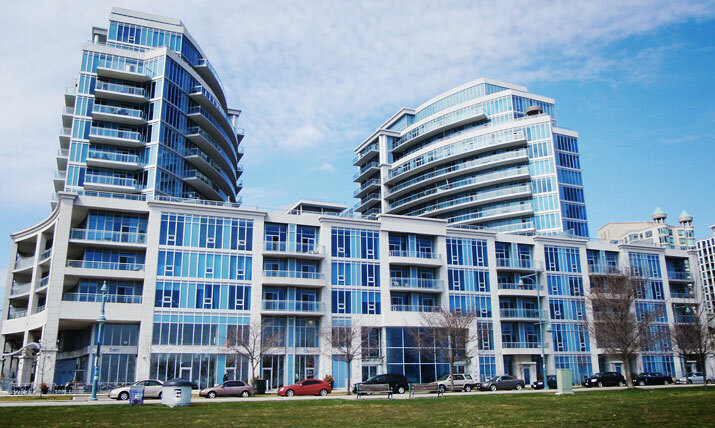 Southampton, 1 Ripley Avenue, is a luxury condominium building that had been built by Tridel in sought after Swansea village, and it is known as one of the best managed condominium residences in the area. Southampton features numerous amenities, including a security system, with a 24-hour concierge, an indoor salt water pool and hot tub, a sensational lobby, a party room, a library, a games room, two guest suites, and rare in-suite maintenance service! This residence is located in the village of Swansea, one of Toronto's finest neighborhoods. Swansea had been founded and built in 1926. However, Swansea had been first discovered in 1615 by Etienne Brule, whose name can still be found today in the historic Brule Gardens. Swansea had been named by John Worthington, who had named it after the village of Swansea in Wales, United Kingdom, for its' similar topography of rolling landscapes, twisting roads, and many lush trees that highlight the fairy-tale homes that form this enchanting neighborhood. Swansea is the only Toronto neighborhood to have a river, lake, and pond as its' natural boundaries. Swansea boasts some of Toronto's best shopping and dining destinations, the best schools in Toronto West, and quick travel times to the downtown core and the airport, via car or public transit. ALL PHOTOS ARE © LUKE DALINDA. 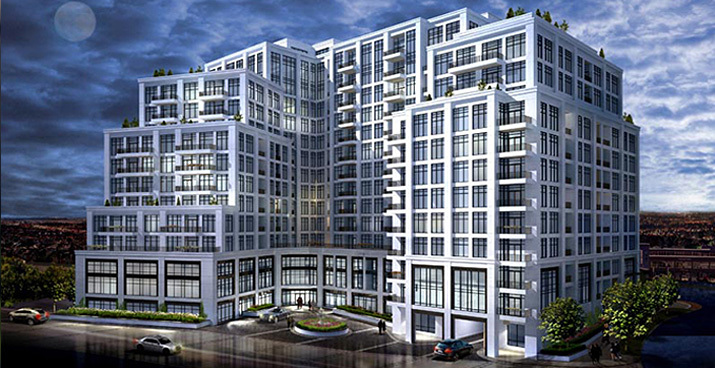 The Montgomery, 3085 Bloor Street West, is a boutique luxury condominium residence that has been built by the Mimico Creek in the heart of The Kingsway. The Montgomery condominium residence features numerous amenities, including a security system, with an executive concierge, an exercise room, a multi-purpose room, with kitchenette, and a magnificent landscaped rooftop terrace! 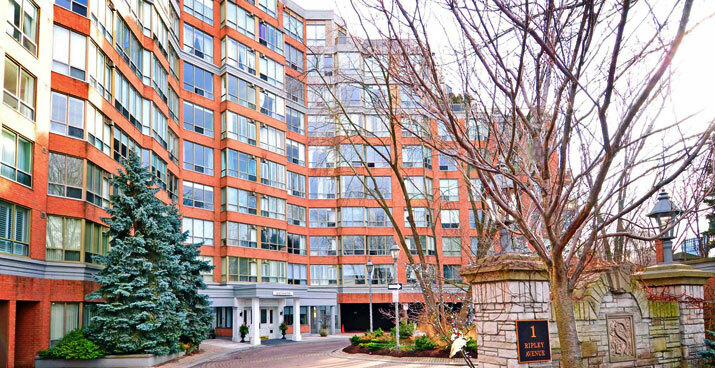 This residence is located in The Kingsway, one of Toronto's finest neighborhoods. The Kingsway had been founded and built in 1924 by Robert Home Smith, who had sought to create an English style garden community by committing his vision to the highest standards of integrity, design, and elegance. The Kingsway boasts some of Toronto's best shopping and dining destinations, the best schools in Toronto West, and quick travel times to the downtown core and the airport, via car or public transit. ALL PHOTOS ARE © LUKE DALINDA. 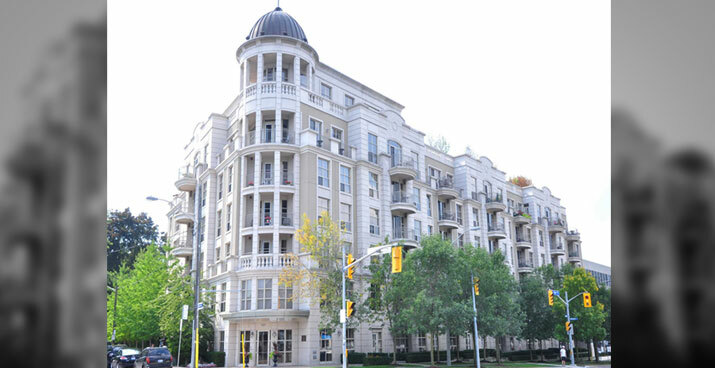 The Kingsway on the Park, 1 Aberfoyle Crescent, is a luxury condominium residence in the heart of The Kingsway. 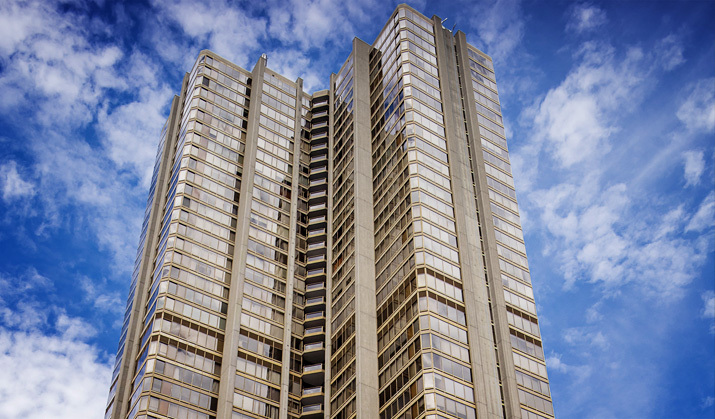 The Kingsway on the Park condominium residence features numerous amenities, including a security system, with a concierge, an exercise room, a recreation room, an indoor pool, and tennis courts. This residence is located in The Kingsway, one of Toronto's finest neighborhoods. The Kingsway had been founded and built in 1924 by Robert Home Smith, who had sought to create an English style garden community by committing his vision to the highest standards of integrity, design, and elegance. The Kingsway boasts some of Toronto's best shopping and dining destinations, the best schools in Toronto West, and quick travel times to the downtown core and the airport, via car or public transit. ALL PHOTOS ARE © LUKE DALINDA. 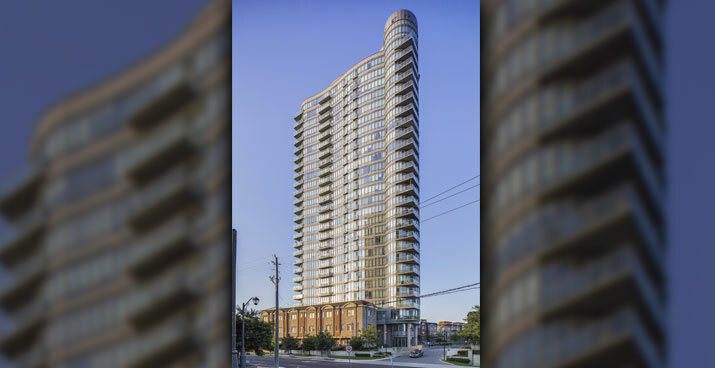 Windermere by the Lake, 15 Windermere Avenue, is a magnificent luxury condominium residence consisting of a 23-storey tower and an enclave of 104 townhomes in Swansea village. This residence is located in the village of Swansea, one of Toronto's finest neighborhoods. Swansea had been founded and built in 1926. However, Swansea had been first discovered in 1615 by Etienne Brule, whose name can still be found today in the historic Brule Gardens. Swansea had been named by John Worthington, who had named it after the village of Swansea in Wales, United Kingdom, for its' similar topography of rolling landscapes, twisting roads, and many lush trees that highlight the fairy-tale homes that form this enchanting neighborhood. Swansea is the only Toronto neighborhood to have a river, lake, and pond as its' natural boundaries. Swansea boasts some of Toronto's best shopping and dining destinations, the best schools in Toronto West, and quick travel times to the downtown core and the airport, via car or public transit. ALL PHOTOS ARE © LUKE DALINDA. 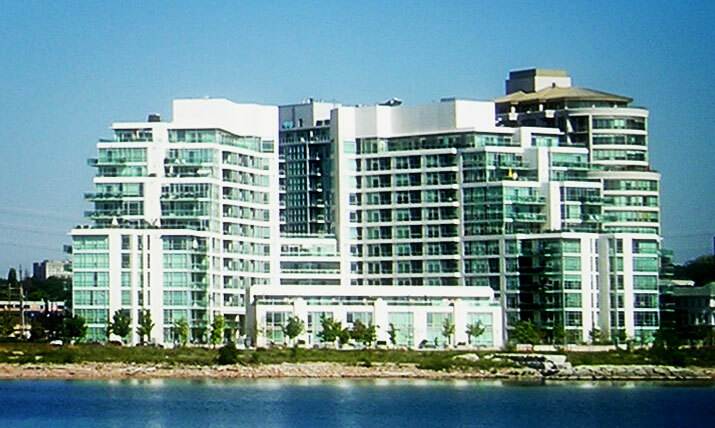 Marina Del Rey is a luxury condominium community that had been built by Camrost on the waterfront in sought after Humber Bay Shores. Marina Del Rey features numerous amenities, including a security system, with a 24-hour concierge, and a health club, with a squash court, a sauna room, an indoor pool, lit outdoor tennis courts, a recreation room, and a lounge. Marina Del Rey had won the Urban Development Institute's Residential Award of Excellence for 'Best Designed Community' in 1989. 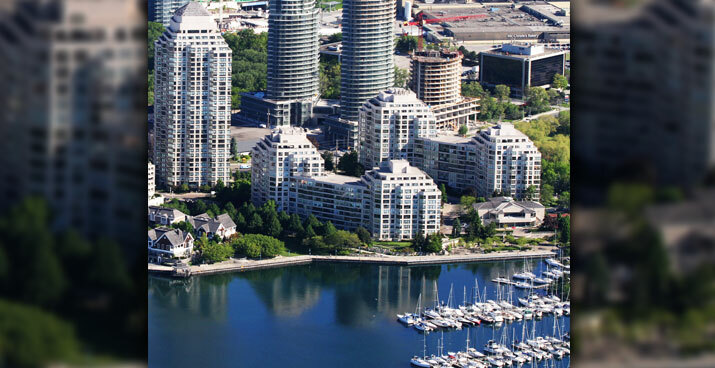 Marina Del Rey is conveniently located, with easy access to major arteries, particularly Lakeshore Boulevard, the Gardiner Expressway, and the Queen Elizabeth Way. It is approximately a 5-minute drive to downtown Toronto and 15-minutes to the airport. Marina Del Rey is also just steps to 2 yacht clubs! 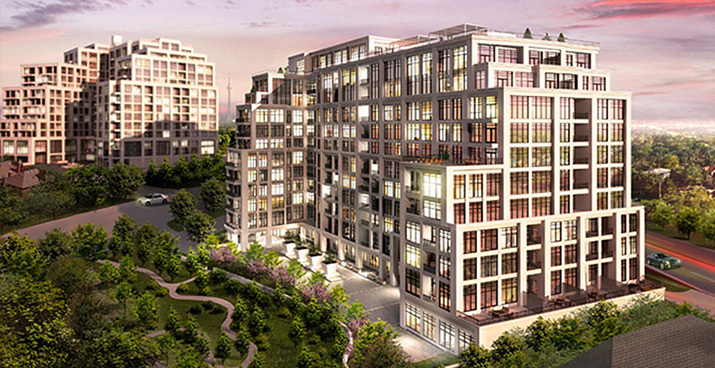 1 Old Mill Drive is one of Toronto's finest luxury condominium residences, which had been built by Tridel, Canada's best builder, and designed by the renowned Kirkor Architects in sought after Swansea village. This residence is located in the village of Swansea, one of Toronto's finest neighborhoods. Swansea had been founded and built in 1926. However, Swansea had been first discovered in 1615 by Etienne Brule, whose name can still be found today in the historic Brule Gardens. Swansea had been named by John Worthington, who had named it after the village of Swansea in Wales, United Kingdom, for its' similar topography of rolling landscapes, twisting roads, and many lush trees that highlight the fairy-tale homes that form this enchanting neighborhood. Swansea is the only Toronto neighborhood to have a river, lake, and pond as its' natural boundaries. Swansea boasts some of Toronto's best shopping and dining destinations, the best schools in Toronto West, and quick travel times to the downtown core and the airport, via car or public transit. 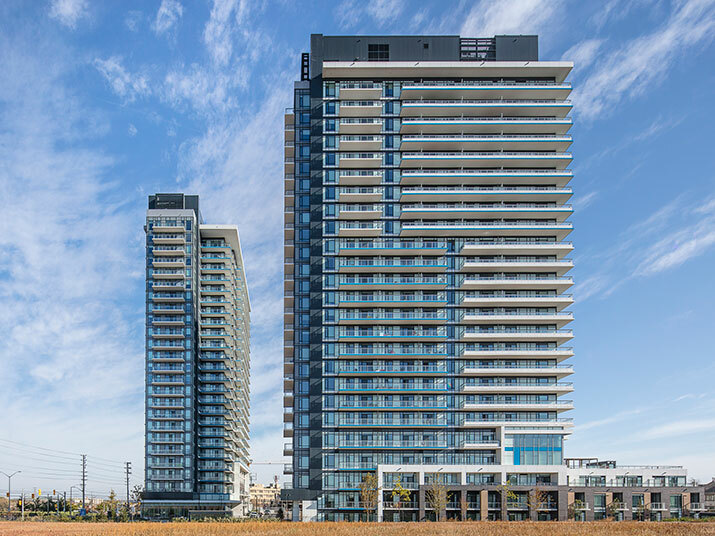 2 Old Mill Drive is one of Toronto's finest luxury condominium residences, which had been built by Tridel, Canada's best builder, and designed by the renowned Kirkor Architects in sought after Swansea village. This residence is located in the village of Swansea, one of Toronto's finest neighborhoods. Swansea had been founded and built in 1926. However, Swansea had been first discovered in 1615 by Etienne Brule, whose name can still be found today in the historic Brule Gardens. Swansea had been named by John Worthington, who had named it after the village of Swansea in Wales, United Kingdom, for its' similar topography of rolling landscapes, twisting roads, and many lush trees that highlight the fairy-tale homes that form this enchanting neighborhood. Swansea is the only Toronto neighborhood to have a river, lake, and pond as its' natural boundaries. Swansea boasts some of Toronto's best shopping and dining destinations, the best schools in Toronto West, and quick travel times to the downtown core and the airport, via car or public transit. 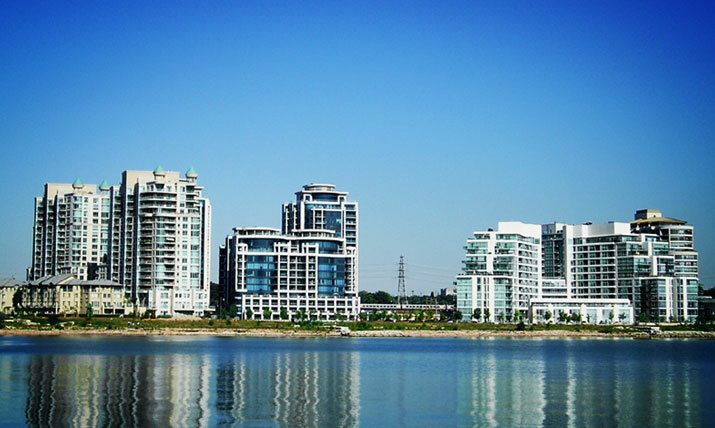 Ocean Club, 59 Annie Craig Drive and 60 Annie Craig Drive, is a luxury waterfront condominium residence consisting of a 39-storey tower and a 10-storey boutique building that had been built by Beaverhall Homes and Graywood Developments, builder of The Ritz-Carlton Hotel and Residences in Toronto. 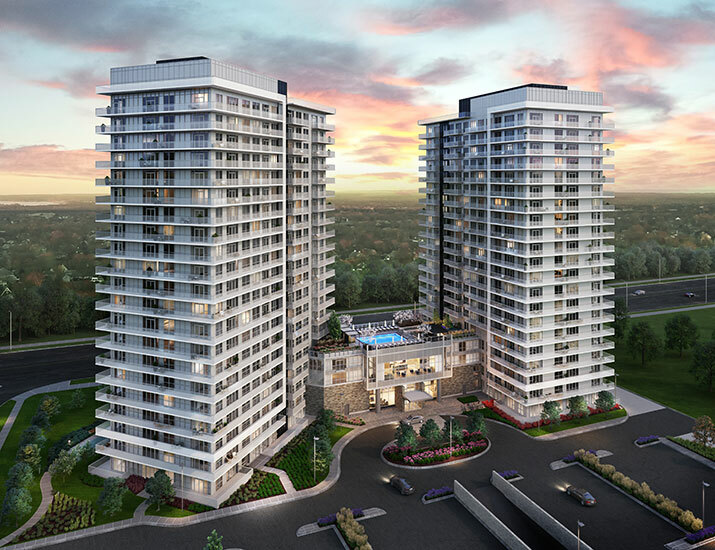 Erin Square is landmark luxury condominium residence consisting of two 22-storey towers that are connected by a spectacular podium in Erin Mills, Mississauga. Erin Square features every conceivable amenity, including a security system, with concierge service, 5th floor rooftop terrace, with outdoor pool and cabanas, large multi-purpose party room, private dining room, multi functional fitness centre, sauna room, games room, media lounge, children's playground, guest suites, and pet wash stations. *Top 1% in Canada, such achievement has been based on the gross, closed commissions that had been collected by the Dalinda Team in 2018 from Royal LePage.